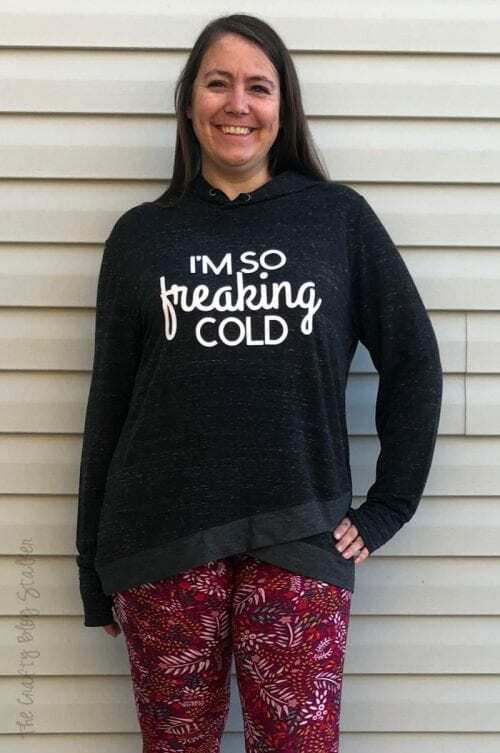 How to Make a Sweatshirt with Iron-on Vinyl and the Cricut EasyPress 2 – I’m So Freaking Cold! 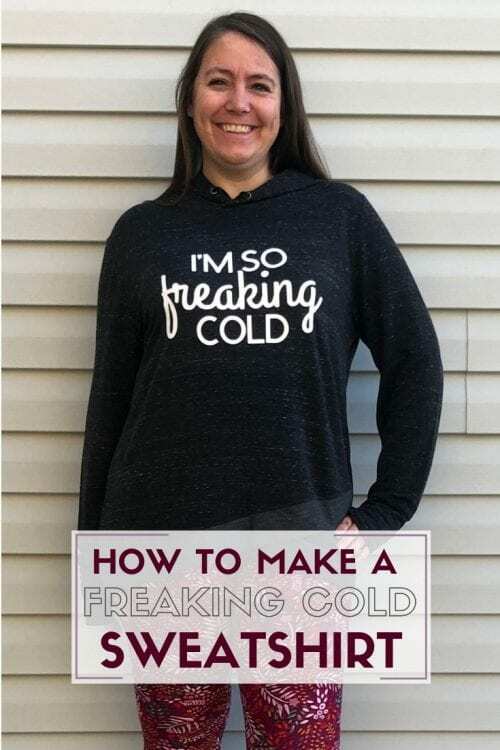 Learn how to make a sweatshirt for your favorite person who is always cold, just like me! Using the Cricut Maker, Iron-on Vinyl and the EasyPress 2. An Easy DIY Craft Tutorial Idea. This is a sponsored post on behalf of Cricut. All opinions are my own because I love giving you helpful tutorials! Do you know anybody that is ALWAYS COLD? That is totally me. I’m cold in the winter because, well, it’s winter. And I’m cold in the summer because everyone has their air conditioners turned all the way up! The cut file to make this shirt is completely ready to go! 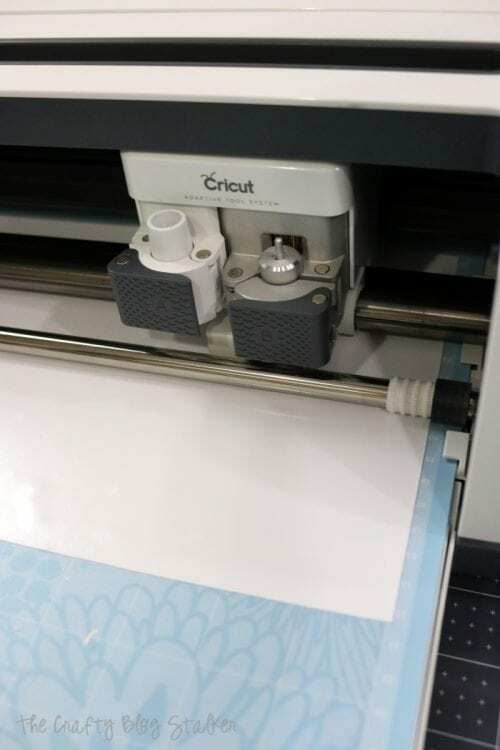 Simply click here and you will be taken to Cricut Design Space. I have the file sized with a width of 10.5 inches. If this size works for you then you can click on Make It. If you need to adjust the sizing, click on customize. 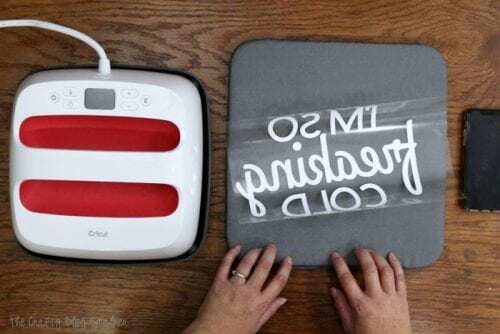 Place the iron-on shiny side down on the light-grip mat, and make sure you click on Mirror Image before you begin the cut. 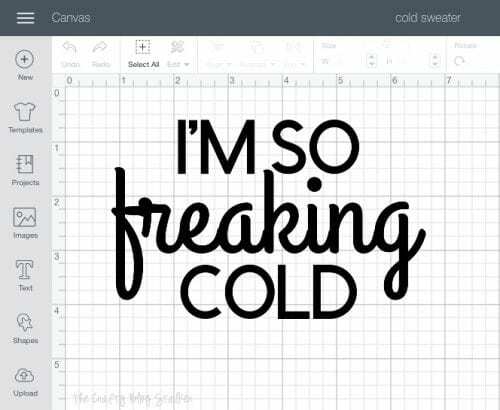 Follow the prompts in Cricut Design Space to cut the image out. I cut this out on a Cricut Maker but all Cricut machines cut iron-on vinyl so it will work with any machine. Once the image is cut, weed the excess iron-on vinyl from the backing sheet. The BrightPad is super helpful during this step because it shines light through the lines so you can easily see the areas you need to weed. Don’t forget to remove the center of the letters! Center the cut-out on the front of your sweatshirt. If you would like, you can use a ruler or t-square to get it perfectly center. I go easy, and just eye-ball it. For this project, I am using the mid-size EasyPress 2. The heating surface measures 9 x 9 inches and is great for shirts and other midsized projects. 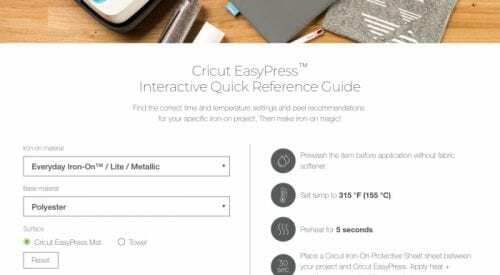 To know exactly what temperature and time to set your EasyPress 2 at you can visit the online Cricut EasyPress Interactive Quick Reference Guide. You enter the type of iron-on you are using and the type of material, and the guide gives you all the information you need even if you should peel the backing while the material is still warm or if you should let it cool! For my iron-on and sweatshirt material, I set the Cricut Easy Press to a temperature of 315 and 30 seconds. My cut image is a bit bigger than the heated surface of the press so I did the cycle twice. Moving the EasyPress over to cover the second half after the first cycle was finished. Slowly peel back the iron-on backing. If the iron-on doesn’t stick you can reapply the backing and apply the heat cycle again. See! Pretty easy right? Now I have a new favorite sweatshirt! 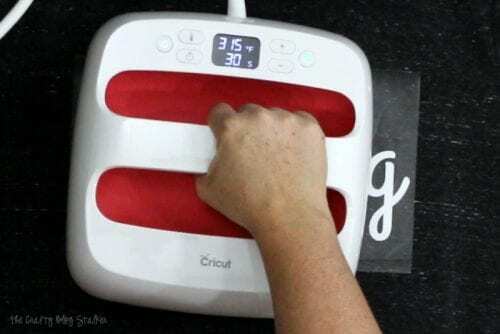 This tutorial was a part of an earlier project, Compare Cricut EasyPress 2 VS a Heat Press. You can click here to view the post or watch the video below. 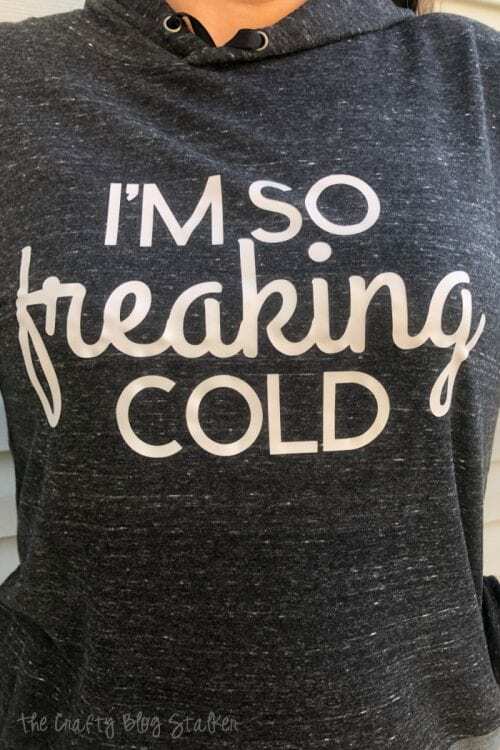 Who do you know that is always cold that this sweatshirt would be perfect for? Or is it you?! Share and leave a comment below! 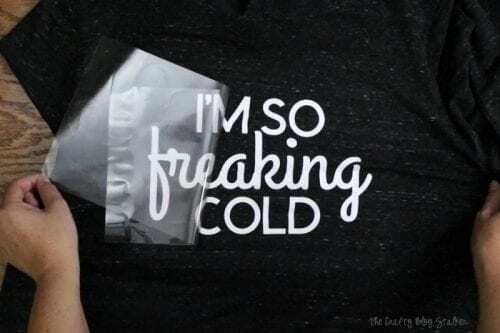 SAVE HOW TO MAKE A FREAKING COLD SWEATSHIRT TO YOUR FAVORITE PINTEREST BOARD!